More than a firth of the world’s farmers live in India, which has over a billion inhabitants to support and feed. 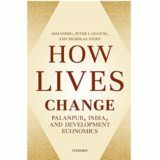 From Independence in 1947 to the lifting of trade barriers in 2001, this book explains how the Indian Union has succeeded in becoming one of the world’s leading food producers, but also why it is still a land of poverty. The various aspects of the question are addressed, from the environment (cultural and natural, local and international) to institutions and food products. The ins and outs of the green revolution are obviously discussed, but so are those of other less familiar coloured revolutions (white for dairy, yellow for vegetable oils, blue for aquaculture), not forgetting horticultural and poultry dynamics, as well as products that give India its flavour (spices, tea and other plantation crops). Three core issues are debated at the end: the unsolved problem of poverty and under-nutrition, the worrying deterioration of natural resources, and the recent economic liberalization. This half-century review, which takes the form of a handbook fora broad readership, enlightens us on both the past and future paths of the world’s biggest democracy. 1. The natural and cultural heritage: Nature: from sandy desert to evergreen forest; Population: a melting pot; Government: between centralism and decentralization; Land: a focus for reform and conflict. Food: a cultural issue. 2. The tropical plantation: Spices and nuts: a taste of ancient India; Tea, coffee, tobacco: colonial plantations under state boards; Cotton: between agriculture and industry; Sugar cane: a green revolution flavour. 3. 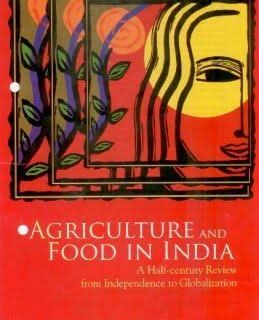 The green (cereals) revolution: The motive: to assert the independence of a young nation: – hunger in British India, – agriculture or industry? – the decisive crisis; The technical solution: a ‘package’ of three ingredients: – high-yielding seeds (hyv), – chemical fertilizers, – irrigation; The economic solution: procurement and redistribution: – procuring goods with attractive farm prices, – redistributing stocks to consumers at low prices, – collecting and distributing savings more efficiently; The reward: cereal self-sufficiency. 4. The Anand white and yellow floods: The white revolution of milk: recycling food aid: – getting up steam, – the liberalization circuit breakers; The yellow revolution of oilseeds: an impossible mission? : – the workings of the scandal, – Sam’s oilcan, – business as usual. 5. The resurgence of vitamins and proteins: horticulture: a growing nursery: – a garden for middlemen, – a slow process, – a political ground; Animal protein: hatcheries and hindrances: – cattle meat: a world apart, – aviculture: soaring over cities, – fish and shellfish: fishing for currency. 6. The failure to eradicate poverty: A multitude of poverty alleviation programmes; Centralization, bureaucracy and corruption; Chronic poverty and under-nutrition. 7. The sacking of natural resources: The water war; Environmental damages; Endangered biodiversity. 8. Market liberalization: The jump into free-market economy (1991). The GATT agreements on agriculture (1994) and after: – domestic support: a missed opportunity for domestic reform, – export support: on the offensive, – market access: a comfortable reform; A huge market to satisfy (up to 2030).